©2015 J HOOK FISHING CHARTERS. All rights reserved. 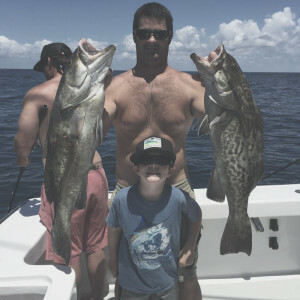 We offer fully customized fishing charters, so give Capt. Jason Hadjis a call to discuss your next fishing trip. If you prefer to send an email to inquire about availability, please fill out the form below and we will contact you shortly. Be sure to include your dates and any other special requests. The J-HOOK is located at the Conch House Marina (on Anastasia Island) in St Augustine, Florida. If you need directions, review the map or follow the directions provided below. Thank you and we look forward to seeing you soon. 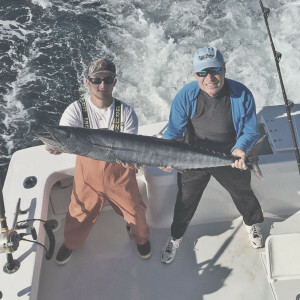 It is our pleasure to show you the best fishing in St. Augustine, Florida. Manned by a polite and courteous crew the J-Hook is a fully decked out 55’ Custom Carolina Sport Fisher equipped with the latest Shimano fishing gear and light to heavy tackle. Capt. 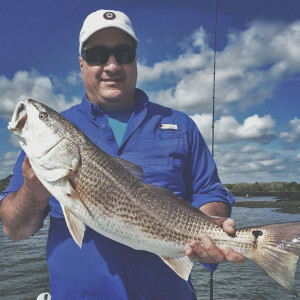 Jason Hadjis is one of the most experienced in the area and as a third-generation captain fishing these local waters, he knows how to find the local hot spots. 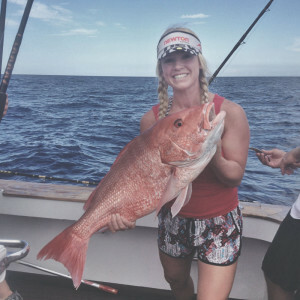 If you’re serious about: catching your limit of pelagic species such as mahi, wahoo and tuna; bottom fishing for snapper and grouper; or just need some time on the water before a tournament contact us to book a charter today. 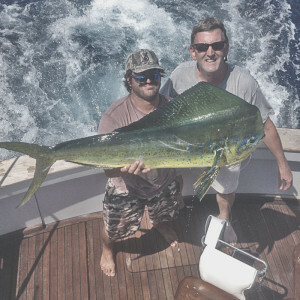 All levels of anglers are welcome to enjoy the custom charter experience with J-Hook Luxury Sport Fishing Charters, from novices to experienced anglers we have an itinerary that is right for you. Families and kids are always welcome! While practicing safe boating etiquette we patiently teach our customers to correctly identify the species of fish we catch, properly rig baits, knot tying techniques and most importantly share the message that fishing is fun! 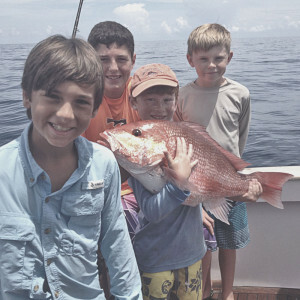 We offer fully customized fishing trips based on our charter passenger’s needs. Want to go after a certain species of sport fish, need us to cater the trip, or have passengers with special needs? No problem. We accommodate all situations and passenger needs. ©2015-2017 J HOOK FISHING CHARTERS. All rights reserved.